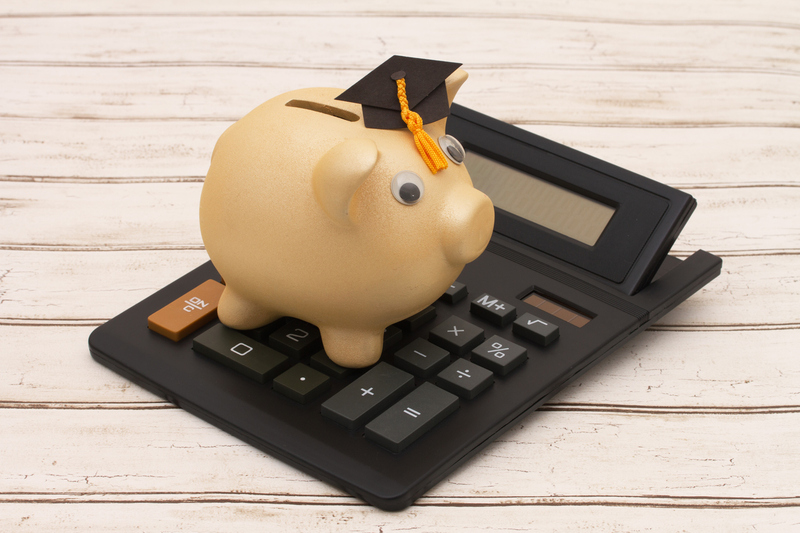 Soaring tuition fees and high living costs are seeing students take out huge loans nowadays as they look to afford their university education, and it’s important to understand how these student loans are repaid. The information in this guide is only applicable to students who started university on or after 01 September 1998. You will start to repay your loans in the first April after finishing your studies, as long as you are employed and earning above a certain amount. How your loan is repaid depends on whether you are employed or self-employed, while there are also two different repayment plans which are dependent on when you started university and your nationality. Plan 1 applies to English and Welsh students who started university before 01 September 2012, and all Northern Irish and Scottish students. Plan 2 applies to English and Welsh students who started on or after 01 September 2012. Plan 1 students start to repay their loan when they earn more than £17,750 per annum, although this amount can change on 06 April each year. Meanwhile, Plan 2 students start to repay when they earn more than £21,000 per annum, but the threshold may change. Grants and bursaries do not need to be repaid. If you are employed on a PAYE tax basis then repayments are taken out of your wage automatically by your employer, but it is recommended that you keep your P60 and payslips in case you ever need to claim a refund. Student loans do not affect the amount of tax you pay. Although the contributions are calculated on your gross salary (pre-tax salary), they are actually taken out of your net salary (post-tax salary). The interest you are charged is tied to the UK Retail Price Index (RPI) – which is a measure of UK inflation, calculating changes to the cost of living in the UK. Each September, the new student loan interest rate is charged by taking the RPI from the previous March and adding 3 per cent. For example, the RPI for March 2016 was 1.6 per cent, so plus 3 per cent gives an interest rate of 4.6 per cent. In September 2017 the interest rate will be 6.1 per cent, due to the March 2017 RPI being 3.1 per cent. However, for students who started university before September 2012 their interest rates may be lower, so you should check with the Student Loans Company. Interest on your student loans is added from the day the money is sent to you, and lasts for the lifetime of the loans. Because the interest rates often change, it is advised to check the Student Loans Company website regularly to check how much you are being charged and any other important details. If you are self-employed then you will need to report your income through self-assessment. Also, if you know your loan is nearly paid off, you should state on your tax return that your loan will be fully repaid in the next two years. To avoid overpaying, send your online tax return before 01 November. Currently, student loans are cancelled after 30 years have passed since finishing university, if you are a student from England or Wales. For Scottish and Northern Irish students, the cut-off point is currently set at 35 and 25 years respectively. This is regardless of how much you still owe, and if your income never rises above the threshold then you will never repay anything. Additionally, if you become disabled, are registered as permanently unfit for work, or pass away, then the loan will be cancelled. The majority of people will never completely repay their loans before they are wiped off. This is because they will simply not earn enough in the 30 years after graduation to completely repay their loans. As such, it may not make financial sense for you to make early repayments to clear your debt. You should look into your expected earnings and make calculations based on those figures, to find out whether you would benefit more from repaying early or whether you are best off leaving it and waiting for it to be wiped off. Each year you will receive an annual statement from the Student Loans Company, showing how much you have repaid in the tax year. You can also log onto their website and view how much you owe, as well as information on making payments. This can be useful for deciding whether to repay your loan early. If you go abroad for more than three months then you are required to fill out an Overseas Income Assessment Form, and this needs to be done every year that you’re abroad. It estimates your income for the next year, and ensures the Student Loans Company has your bank details so you can pay by Direct Debit. They will calculate whether you need to repay, and if so, how much. Repayments are taken as normal if you work for a UK employer abroad. However, if you work for a foreign employer, then the repayments will depend on the minimum Plan 1 or Plan 2 threshold in that country.